Black holes are those objects that are dense with no matter and not even light can escape their gravity, and since nothing can travel faster than light, nothing can escape from inside a black hole, making them extraordinarily difficult to observe. 1. 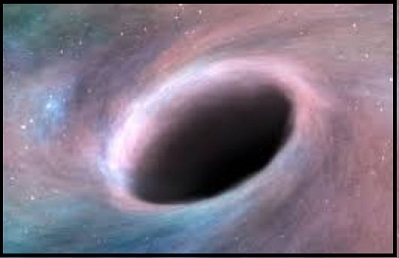 Stellar: Stellar black holes are formed when a massive star collapses. 2. Supermassive: Supermassive black holes are equivalent to billions of suns and expected to exist in the centers of most galaxies, including Milky Way galaxy. 3. Miniature black holes: Miniature black holes are assumed to have been formed shortly after the “Big Bang”, which is predicted to have started the universe 13.7 billion years ago.